Long white bones and the flesh all gone? Ooh, ooh, ooh, oo-ooh ooh ooh ooh! 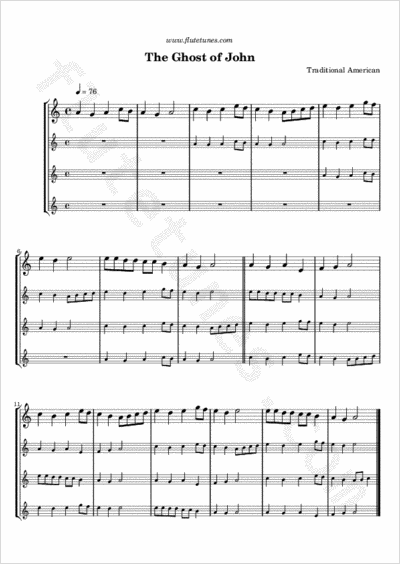 The best thing about this tune is that it can be played as a round, that is, it can be played by up to four players, all playing the same exact melody but at two bars' distance. The resulting harmony creates a very scary atmosphere! To make it even creepier, try introducing sudden changes in dynamics (playing softer/louder) and tempo (playing slower/faster).